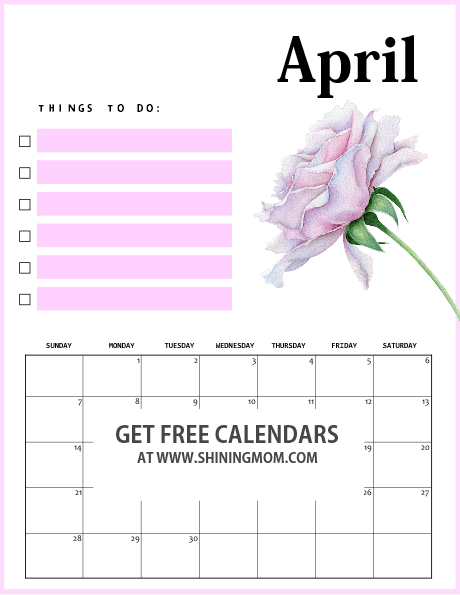 With our beautiful April 2019 calendar printables, we will all have a lovely and productive month ahead. I have ten designs for you to choose from. Pick what you like to use. They’re all beautiful! Hello, friend! 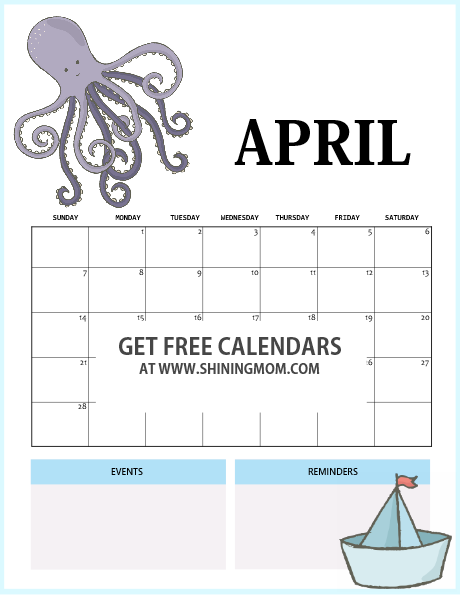 Did you visit Shining Mom right today for your free April calendars? I am happy to share that you’ve arrived just in time for our fresh release. Yup, the second set of April calendars are out early, and they are released today! While I am in love with the first set of April calendars, I thought of sharing more designs for you to choose from today. I also made sure that they all come just as pretty! 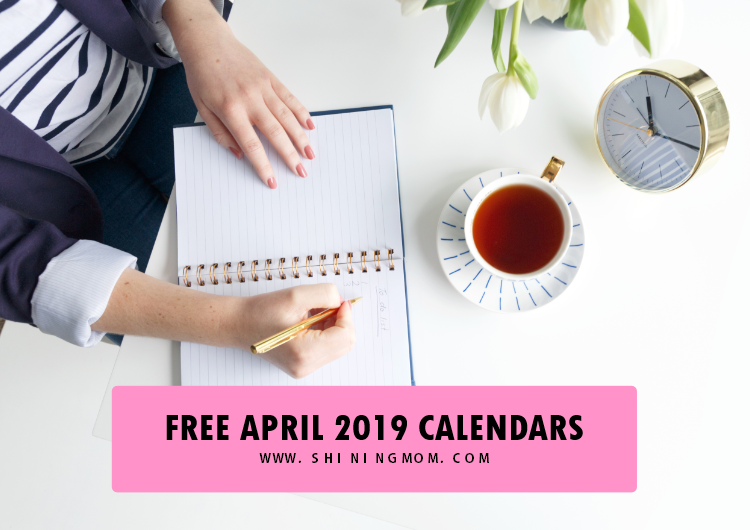 The April 2019 calendar printables that I have here for you are in different styles, themes, and format so you’ll have a variety of options. Ready to view what I have for you? Keep scrolling down to view the calendars! You are about to enjoy ten beautiful designs. I am so excited to hand these lovely pieces to you! Let’s take a sneak peek to my favorites from this set. 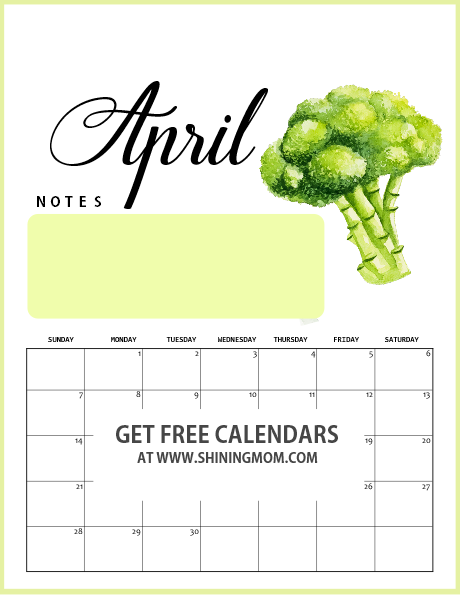 Would you like to use a clean and simple calendar to organize your schedule this month? This calendar is for you! What’s extra nice about this one is that it has a spot for you to write down your monthly priorities. It’s not just pretty, and it’s also going to be extra useful! Start turning your dreams into goals. This next calendar that I have for you will inspire you to take that step closer to your dreams this month! It’s my favorite from this set. Ever wished you also have a special calendar in your kitchen? Check this out! It’s perfect for your meal planning and so much more! Moving on, the next calendar that I have for you comes with a pretty handpainted floral element. It’s perfect to use as a planner insert! What are your essential to-dos for April? It’s time to write them down! Well, of course, I’ve also included some cute designs for your little kids, like this one! This calendar is great to include in their school binder! There you go, a few of my favorites from this second set of April calendars. And hey, should you also like to view the first set, pop over here! You can also check the cute calendars released at Home Printables! 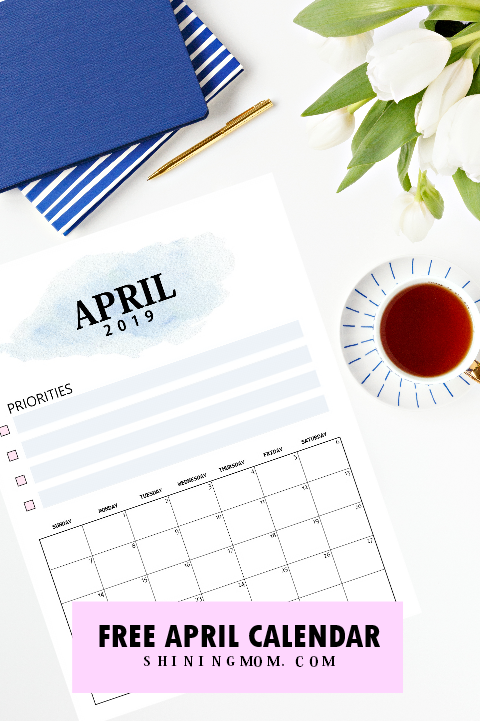 DOWNLOAD YOUR APRIL 2019 CALENDAR! CLICK HERE TO RECEIVE THE CALENDARS, sent straight to your inbox for instant download. Print the calendars in US standard letter-size paper with 8.5 x 11″ dimensions. Happy planning, friends! I hope you can use these free calendars! 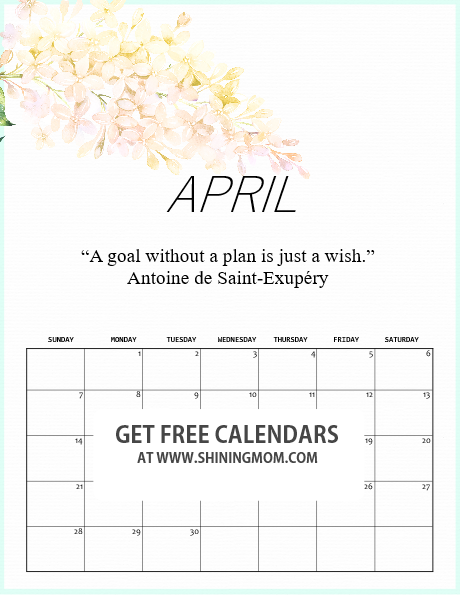 Also, don’t forget to snag the free first set to complete your monthly planner. And oh, just in case no one told you yet today, know that you are amazing. « 10 Reading Log Printable Planners for Every Book Lover!